On Friday, March 8th the Mayor of Lewiston, Shane Bouchard, resigned amid a scandal arising from racist text messages he sent to his mistress, as well as allegations of having a hand in leaking mayoral election opponent Ben Chin’s emails to the Maine Examiner in 2017. 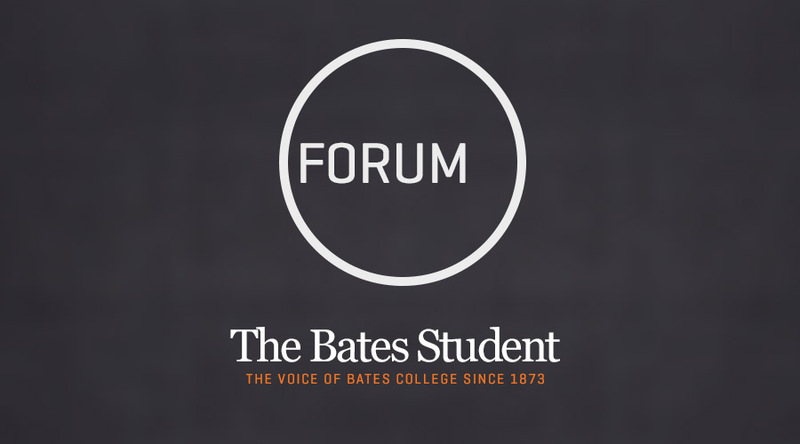 In the text messages, Bouchard called elderly black people “antique farm equipment,” referred to himself as “so sexist,” and joked about going to a “clan meeting.” Though this behavior is unbecoming for any elected official, it should be of no surprise to the Bates community because of Bouchard’s affronts against Bates students. During last year’s mayoral debate, Bouchard attacked Bates students by saying that they, quote, “shouldn’t be voting in our local elections. And if they do vote in our local elections, we actually need to uphold the legal requirements for them to register to vote, which they do not.” During his term, Shane Bouchard sent a letter to new Lewiston voters (many of them Bates students) making it appear as if you needed a Maine driver’s license and Maine vehicle registration in order to vote. You do not. The Maine Secretary of State had to intervene to clear up any misconceptions caused by Bouchard’s letter. We can learn many lessons from Bouchard’s tenure. One: racism is still alive and well. Those of us who do not experience it must realize that people who occupy public office can harbor deeply white supremacist sentiments. When put into action, these sentiments can endanger the livelihoods of people of color, with Shane Bouchard being one of those officials. Two: It is no coincidence that the mayor who threatened our enfranchisement is the same mayor who identified himself as a Klansman. We know that different social struggles are connected, so it makes sense that those who threaten one struggle will threaten others. In addition, the legacy of Bouchard’s troubled tenure gives us yet another important reminder that Bates students must be involved in the day-to-day politics of Lewiston. This doesn’t mean that everybody has to join the Maine People’s Alliance or read the Sun Journal religiously, but it does mean that links need to be built between Bates students and the people of Lewiston. With such racist people in power, the Somali community, in particular, must be given attention. If students and regular working-class people cannot establish strong political dialogues, we will only get more and more Shane Bouchards. I am sure that many of us feel relief that such a contemptuous person is no longer in City Hall. But that which will define whether we are able to improve the links in the community and defeat xenophobia within our city will be our ability to change the way we approach politics. Voting for Ben Chin once every two years isn’t enough. Working with the Harward Center isn’t enough. Tutoring Lewiston’s students won’t be enough. Volunteering at the library isn’t enough. At risk of sounding cliche, we must take on all sides and get organized. Our involvement in the community is political, and we cannot afford to ignore Lewiston’s politics during our four years living in this city.